I have a soft spot in my heart when it comes to fashion. And, I must admit that Spring has a tendency to make it beat even harder. Why? Well, next month is when the grand gala of all events takes place, where fashion and Hollywood are fused together on the highest level. Yes, I am talking about the one and only - Met Gala! For those of you who don’t understand, please allow me to explain that this is essentially the biggest couture party of the year where celebs and designers get together ostensibly to celebrate The Metropolitan Museum of Art’s latest Costume Institute exhibit. 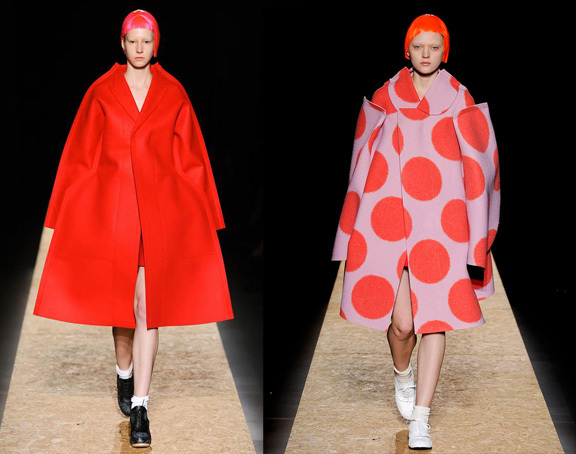 And this year, these A-listers will honor Comme des Garçons Creative Director Rei Kawakubo. If that name does not ring a bell - don't worry. Take a look at some of her most eye popping creations! This year's Met Gala will take place on May 1, with Kawakubo acting as honorary chair alongside Katy Perry, Pharrell Williams - who launched a fragrance in collaboration with Comme des Garçons in 2014 - and Anna Wintour. The exhibition will open on May 4.